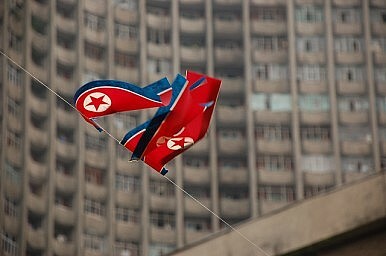 Without progress in Pyongyang this week, the investigation may derail completely. After Japan decided on Monday of last week to send a delegation to Pyongyang to verify the ongoing investigation into the abduction of its citizens during the 1970s and 80, several Japanese officials embarked on Sunday. Japan decided to take North Korea up on its offer to accept the visit, despite the latter’s failure to provide an initial report as promised in late September, it is also seeking to take a firmer stance with Pyongyang’s seemingly fickle leadership. Unfortunately for Tokyo, it has few real sticks or even carrots that it can offer in exchange for information, and possibly the return of its abducted people. The delegation of 10 officials arrived in Beijing on Sunday en route to Pyongyang, led by director-general of the Foreign Ministry’s Asian and Oceanian Affairs Bureau Junichi Ihara, who has led the talks over the abduction issue since they resumed in May. They arrived in Pyongyang Monday afternoon for a four-day visit, with Tuesday and Wednesday reserved for meetings with the special committee assigned by North Korea to the investigation, according to the Jiji Press. There is still little in the way of hard information as to what the Japanese delegation will be presented with, although most media outlets have portrayed whether or not they meet with So Tae-ha, the chairman of the investigative committee and also counselor for security at the National Defense Commission (a leading government body headed by leader Kim Jong-un), as a litmus test for the visit’s success. As of Tuesday afternoon there was no sign of So meeting the delegation. The Japanese delegation is rounded out by police and other experts who will be expected to ascertain the veracity of any evidence that North Korea presents. Chief Cabinet Secretary Yoshihide Suga told reporters on Monday that, “We plan to use this visit to Pyongyang to tell the person in charge that Japan regards the abduction issue as a priority. We want them to explain the status of the investigation. At this meeting, we will call on them to carry out the probe swiftly and be sincere in their response to Japan.” Tokyo has been forced to take this harsher tone because it already loosened some bilateral sanctions back in July when North Korea agreed to formally start the investigation. As time wears on without any progress on the issue after the initial report date passed over a month ago, the government risks losing credibility with the public as well as the families of the abductees, not to mention its U.S. and South Korean allies who were skeptical of the bilateral negotiations to begin with. North Korea’s investigation and subsequent release of five abductees in 2004 were bookended by two visits by Japan’s then Prime Minister Junichiro Koizumi. The Japanese delegation that visited in November 2004 was given the alleged remains of one of the abductees (although Pyongyang’s claim in this regard was later disproven) as well as allowed to visit sites associated with them in North Korea. The current delegation is not expected to visit any sites but only meet with the investigative committee, nor will it be allowed to speak with anyone else in connection with the abductees. While Japan is putting a stern face on its trip to Pyongyang, in reality it is hoping for any signs of progress or improvement that will justify a continuation of the agreement. Tokyo has already gone as far as it can in loosening sanctions with North Korea, and so any future progress will have to come from the North. The question now is what advantage Pyongyang sees in making further progress on this issue. The benefits from travel and money transfers that it has received since July would have to be minimal with almost no effect on the state of North Korea’s economy. However, after two high-level visits with South Korea this fall and greater openness to interaction with the UN, Pyongyang may not feel as isolated as it did when negotiations began in May. If that is the case, Japan’s chances of resolving this issue this year may well be fading.